Fleas, ticks & heartworm – what’s the REAL risk to your dog or cat? Home » Fleas, ticks & heartworm – what’s the REAL risk to your dog or cat? Heartworm season started TODAY, June 1, and fleas and ticks have been out in full force since early spring. We recommend that our canine patients get tested for heartworm and tick-borne diseases each year, and take heartworm and flea prevention medication from June to November (as well as tick prevention if they are at risk). Cats at risk should also be on flea and tick protection. Yowch! You know how uncomfortable you are when you’re covered in itchy mosquito bites? It’s the same for your cat or dog when they are infested with fleas! Why make them suffer through that without treatment? Fleas can also cause skin disease, allergies, tapeworms, and anemia. And once your pet has fleas, only 5% stay on their body at any one time – the other 95% make themselves at home in your house! We have already removed ticks from many dogs and cats this season, who picked up ticks in High Park, Trinity Bellwoods Park, Cherry Beach, one of our waterfront parks, the Rouge Valley, cottage country, Kingston and the 1000 Islands – and even their own backyard! Anywhere with lots of tree cover or long grasses can be infested with ticks! Ticks can transmit Lyme disease, as well as Ehrlichiosis and Anaplasmosis, which cause blood-clotting problems and anemia. Mosquitos are much more than a warm weather nuisance – they also transmit heartworm, which can cause heart failure. While testing and prevention programs have kept infection rates in Toronto low, that doesn’t mean that the threat has gone away. Up to half of the coyote population is infected with heartworm, and these wild dogs roam parks and ravines right here in our community. 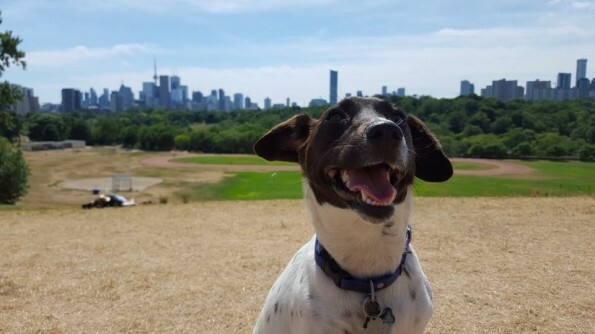 Heartworm is also common in many other countries, and lucky rescue dogs starting a second chance life in Toronto may already be infected when they arrive. Just a single bite from a mosquito that has bitten an infected animal can transmit heartworm, but the good news is that it is easily prevented, and can be treated if caught early. That’s why we recommend that dogs get a heartworm test each year and use preventative medication from June to November, such as Revolution, which also protects against fleas. Revolution protects cats from heartworm disease as well, which is less common but can be even more deadly to our feline friends. Give us a call at 416-537-9677 if you have any questions – or reserve a flea, tick & heartworm testing and prevention appointment now using our online appointment request form!